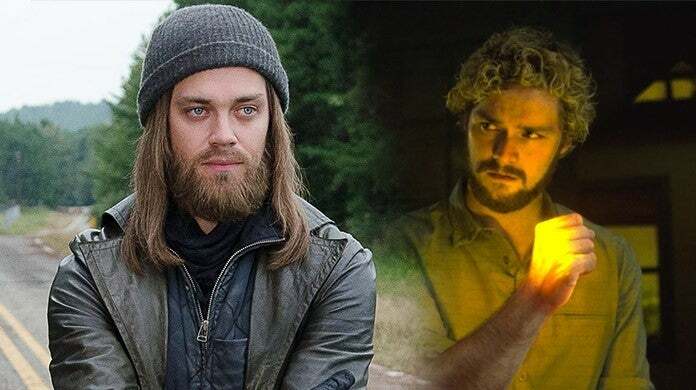 The Walking Dead star Tom Payne has been given the leading role in Fox's new upcoming series Prodigal Son, a position previously held by Iron Fist's Finn Jones. "According to sources, the decision to recast was a creative one that was made following the pilot’s initial table read," TVLine reports. The swap comes on the heels of Jones having his Iron Fist series cancelled by Netflix as the streaming service wiped its slate of Marvel shows entirely ahead of Disney+ launching in competition. For Payne, however, this is a quick rebound. The actor recently exited The Walking Dead when his Paul "Jesus" Rovia character was killed in the AMC show's Mid-Season Nine finale. He has since appeared in a couple of episodes, both as a dead body and in flashback form, appearing in one more episode slated to air this Sunday. Both Jones and Payne have undergone martial arts training for the most recent roles. Prodigal Son is set to be executive produced by Arrow and Flash's Greg Berlanti. It will tell the story of Payne's Malcolm Bright, a criminal psychologist who has a particular understanding of criminal's given his father's murderous past, should it get picked up as a series. Scandal's Bellamy Young is set to co-star as Malcolm's manipulative and narcisstic mother, Jessica. What do you think of the swap in casting? Are you excited to see Tom Payne get back on television or were you hoping to see Finn Jones land on his feet after Netflix's decimation of Marvel TV shows? Share your thoughts in the comment section! Iron Fist is available now on Netflix. The Walking Dead airs Sundays at 9 pm ET. Fear the Walking Dead will return for its fifth season in 2019. For complete coverage and insider info all year long, follow @BrandonDavisBD on Twitter and watch ComicBook.com's After The Dead each Sunday night following new episodes.